Recently we migrated a number of sites from different CMS systems and made them static using Middleman, we switched to Contentful as CaaS and Netlify for building and hosting. Before coming up with this architecture, we investigated several alternatives. One of them was hosting static files on Amazon S3 and managing the deployment process with CircleCI. This article shows you how to set this up. Before we dive into the process of creating a site, setting up services and deploying continuously, let’s look at the following overview of how the different components are related to make sure it’s clear to you what you’ll be working on. You will need to have accounts for GitHub, CircleCI and Amazon S3 but all services are free (in some form). Middleman is open-source and you need to have Ruby and Git installed on your local machine. Now when you open a new tab in your browser and navigate to http://localhost:4567 you’ll see that your Middleman site running. Building your site means generating static files by running Middleman’s build command. Although the build process will be run by CircleCI eventually, it’s a good practice to see this happen on your local machine. Notice how Middleman created a my-site/build subfolder that contains a .html file and some subfolders with assets. By the way, Middleman takes care of not adding the build folder to the repository, so you don’t have to worry about that yourself (if you’re interested: open the .gitignore file from the my-site folder to see that the /build folder is listed here). 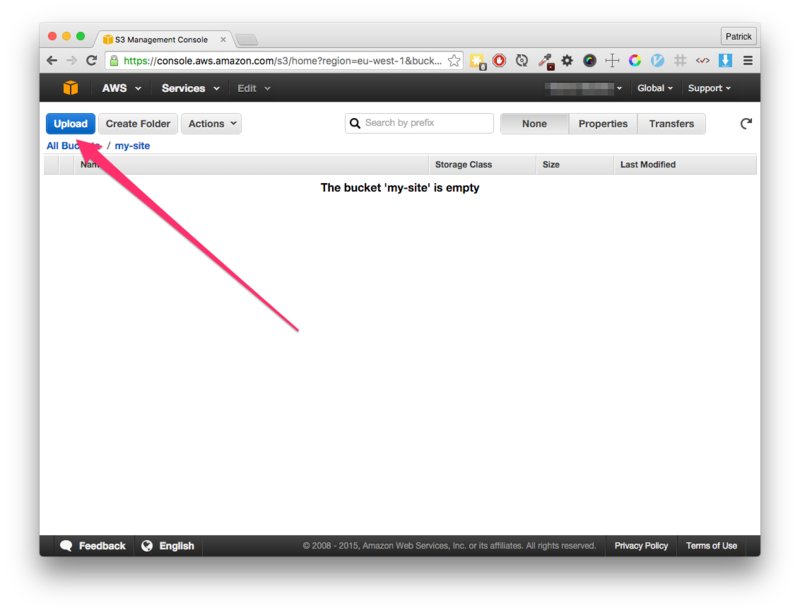 Let’s setup a bucket on Amazon S3 so we can use it to host your static files put in the build folder. 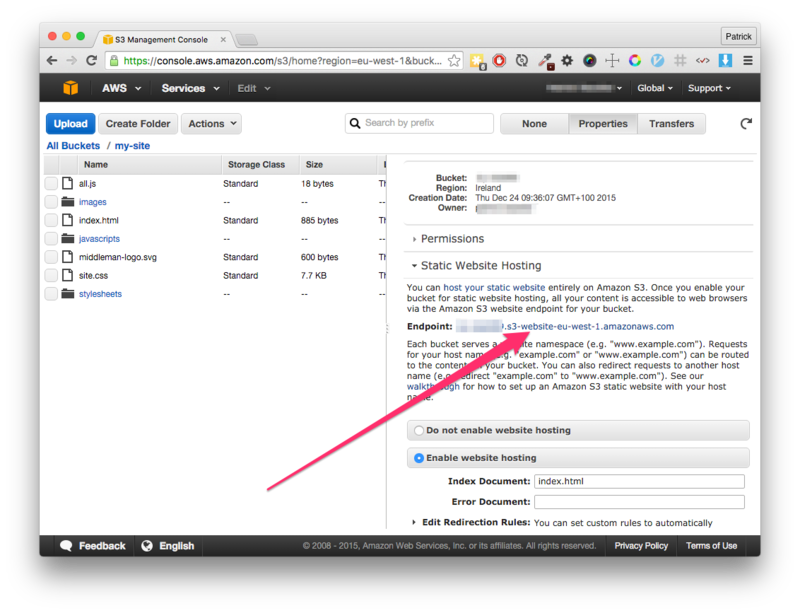 The Amazon site has a good step-by-step instruction on how to do this, so please follow this. You will probably need to choose a different name for your bucket than my-site because a bucket’s name needs to be unique globally. Don’t forget to use this name when defining the bucket policy! When you have your bucket, let’s use the files from the build folder and upload them. In the S3 Management Console, select the bucket to open it and click the Upload button. Drag and drop all the files and folders from the build folder to S3 Console and click Start Upload. To view your site, open a new tab and enter the url for your static site. You can retrieve the url by choosing the Properties button and opening the Static Website Hosting section. Do not close the S3 Console, we still need it later. 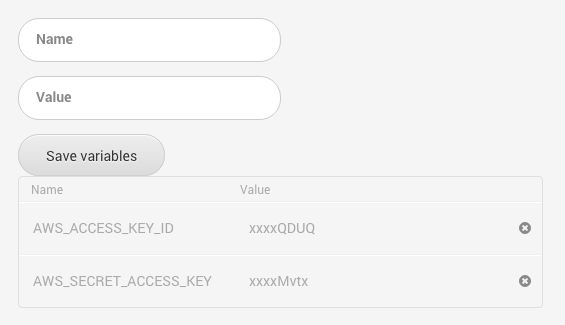 Add a user (name it CircleCI) and write down or download the credentials. These are only provided once! Last step. We want our site to be build and uploaded to S3 every time a commit is pushed to GitHub. In real-life projects things will probably be more nuanced, you may have different environments for different purposes, you may want to run tests before the upload process can be started, etc. For now, we keep it simple. 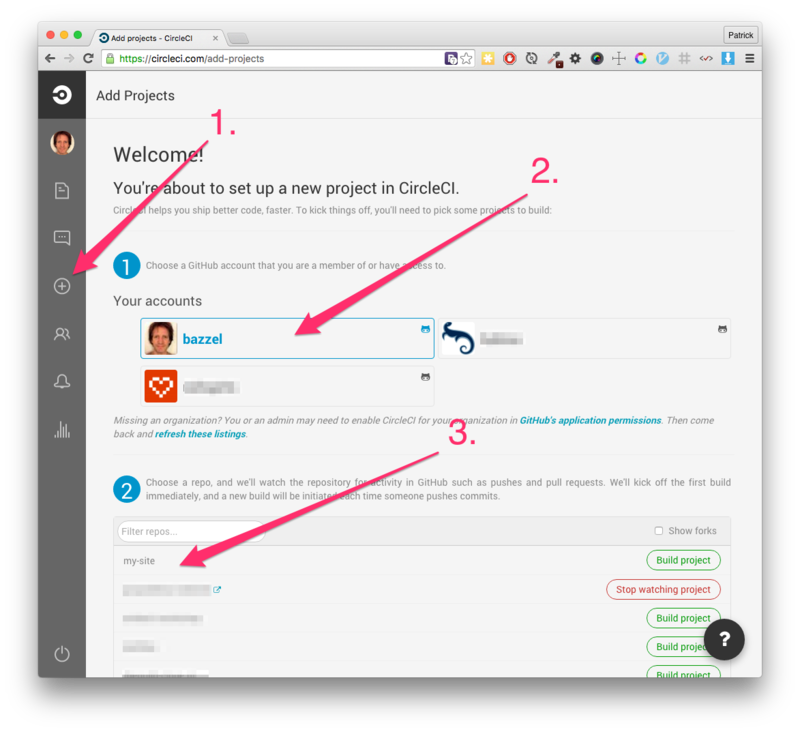 When you use CircleCI for the first time, you need to grant CircleCI to access your GitHub repo’s. Both CircleCI and GitHub come with clear instructions on how to accomplish this. Here you add the credentials needed for the upload to S3 (make sure you use CAPITALS when defining the names) you downloaded from Amazon. Adding all these configuration settings does not change the content of the static files that your build will generate, so for illustrative purposes, open source/index.html.erb and change the title. 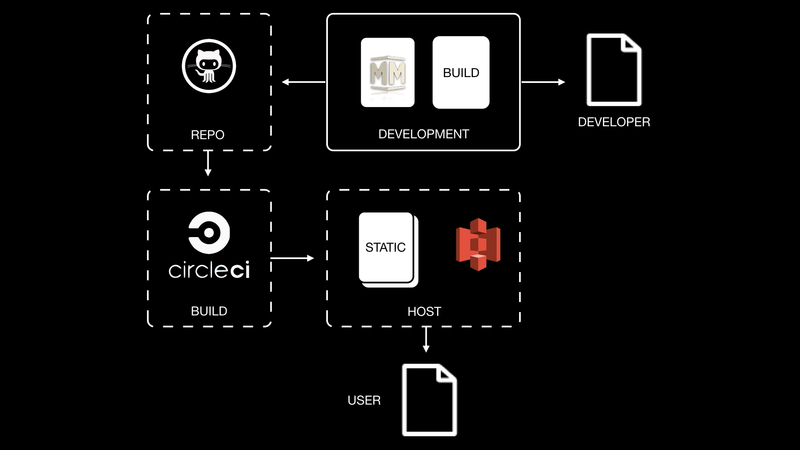 $ git commit -m "Setup CircleCI"
When you look at your CircleCI dashboard, you will notice that a build is running. When finished, refresh the tab that has your site displayed to see that the changes are applied. Although we’ve only touched the surface of the tools used here, this already is a major step forward in automating the process of generating and deploying a static site. O man, if I only had more time. 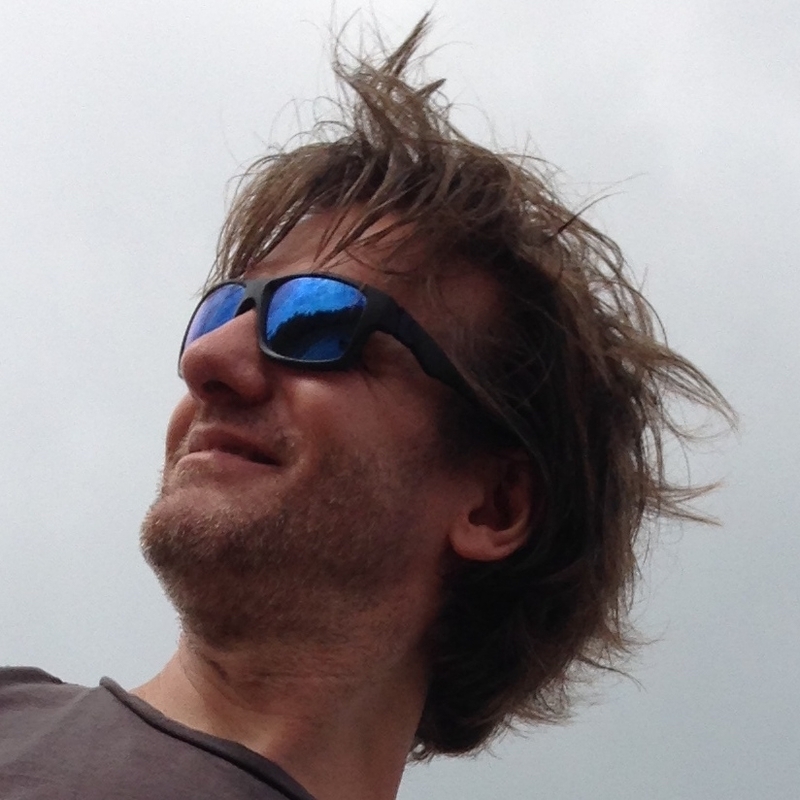 I’m a professional Ruby on Rails-, front-end- and unprofessional (that is: not professionally… yet) Ember developer from The Netherlands, I love sharing knowledge and one day I hope to be a more than a novice guitar player.